Asahi Shimbun, Feb 28, 2015 (emphasis added): The nation’s nuclear watchdog body slammed [TEPCO] over its failure to disclose information on the leakage of radioactive rainwater into the sea… TEPCO President Naomi Hirose… apologized profusely… TEPCO became aware more than a year ago that the concentration of radioactive materials in the water flowing… was high [first disclosing it to regulators] January 2014… TEPCO continued to conceal details, including the fact that the concentration became high whenever it rained… However, TEPCO had decided long ago there was no need to monitor rainwater for radioactive materials. NHK transcript, Feb 27, 2015 : Experts and local government officials visited the Fukushima Daiichi nuclear plant to examine sources of contaminated water flowing into the sea…Experts urged the operator to investigate whether rooftops of other reactor buildings are also sources of tainted water. Japan Times, Feb 26, 2015: [Tepco] admitted Thursday that its latest problem with radioactive water has shattered the trust it was building in Fukushima… and that the decommissioning of the Fukushima No. 1 plant might be delayed [after] the surge in radiation detected in the water draining into the sea… The utility said the source of the contamination is the roof of the No. 2 reactor building, which… remains heavily contaminated. 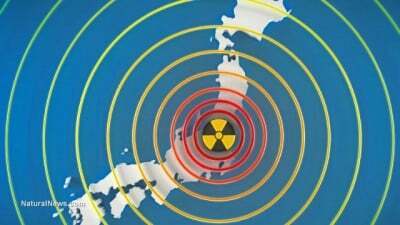 Arirang, Feb 26, 2015: Tokyo under fire for alleged cover-up of radioactive water — [TEPCO] is under heavy fire for staying silent over a radioactive leak… flowing into the Pacific Ocean.